Yacon – specifically Yacon syrup – is a functional food that has vaulted into popularity by its exposure as a weight loss supplement on the Dr. Oz show. You’d wonder how there could be any overweight people left in North America, what with Dr. Oz “stumbling” over the next big thing in weight loss on a weekly basis. Let’s talk about Yacon and the syrup made from it. It’s a perennial herb that is grown in South American Andes – all the way from Columbia to Argentina – for its sweet tasting roots. Traditionally it has been used as a natural anti-diabetic (it also displays antibacterial effects), and its effect in this regard has been confirmed in several animal studies (see here and here! ), although in many cases, it is the leaves (infused to make tea) that are the source of the effect. 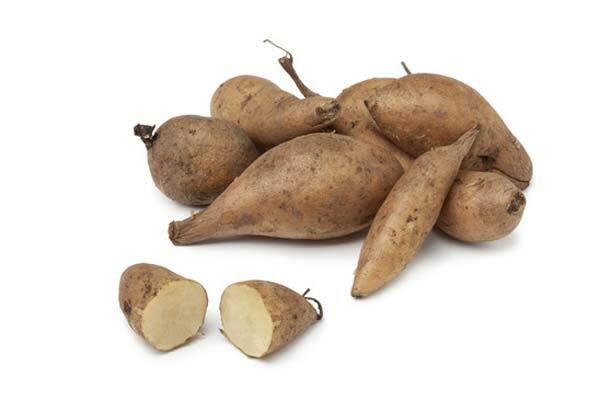 Yacon is interesting because its roots contain a high concentration of fructooligosaccharides (which for the sake of simplicity we will call FOS from now on). Thus, FOS is used commercially as a low calorie sweetener and an alternative to sugar. You can find it in milk, yogurt, dairy products, snacks, bars, cereal and candy. 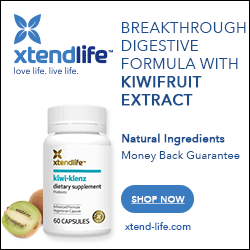 It also stimulates the production of friendly bacteria in the colon and intestinal tract. Yacon syrup, like that mentioned on the Dr. Oz show, can contain up to 50% FOS, and is made by concentrating the juice of the Yacon roots. So let’s talk about weight loss. Arguably, that’s not particularly helpful. One 2009 study published in Clinical Nutrition followed 55 obese Argentine women who took about 3-4 teaspoons of yacon syrup over the course of a day. The women were also instructed to slightly reduce their caloric intake and to walk for 45 minutes twice a week. Over 120 days, the women who did not take yacon syrup did not experience significant changes, while the women who did use yacon lost an average of 33 pounds and 4 inches of waist circumference. They also experienced improved insulin levels, a dramatic drop in bad cholesterol and more frequent bowel movements. A hypocaloric diet is a one where you consume fewer calories than you burn. In other words, these women were put on a moderate diet. We have no idea whether or not this “moderate” diet represents a dramatic departure from their regular eating habits – the diets that made them obese in the first place. Since part of the criteria for the recruitment of individuals for this study included “obesity with mild dyslipidemia” it isn’t much of a stretch to imagine that it is. Secondly, it defies logic to imagine that 55 people could adhere to a diet consisting of 50% carbs, 15% protein and 30% fat for the course of 4 months unless they were on some sort of regimented meal plan (this is not discussed in the study). Third, the study did not follow 55 women; only 35 women made it to the end of the study, and 15 were in the placebo group (an entire test group was eliminated because they experienced adverse GI (gastrointestinal) effects. That notwithstanding, the study participants who consumed 0.14g/kg of bodyweight of FOS per day lost a significant amount of weight – as much as 33 lbs (the placebo group actually gained weight). Of course, it’s important to keep this in context; 33 lbs. is not insignificant. 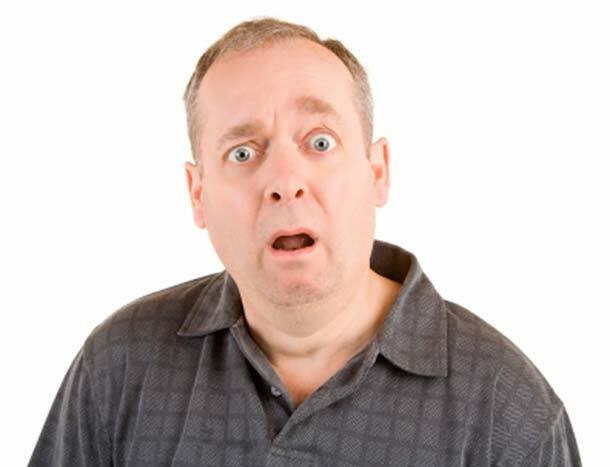 But when you consider that this weight loss occurred over 4 months, it become much less dramatic – in the 2 lbs. per week range. More reasonable. And while this is a small, preliminary study, it certainly appears like something is going on here. Sure, there are a couple of methodological issues, and the entire segment of participants who received a higher dose of FOS were not included in the final results. It’s also possible that Yacon’s prebiotic-boosting effects may have some effect here, but it’s hard to imagine such dramatic effects attributable to that only, given the results obtained from recent studies. Placebo Group Experienced NO Results. That’s Odd. But one thing that strikes me as very odd is that the placebo group didn’t experience any results at all. Considering that they too were on a slightly hypocaloric diet and were exercising twice a week, they should have experience some results, even if they were only minimal. If their compliance was good, I would have expected to see some average weight loss… even if it wasn’t very much. The placebo syrup “recipe” makes no mention of density, taste or the presence of food dye. Yacon syrup is dark colored, as the juice oxidizes very quickly, and some carmelization also occurs during heating. Look at the pics on pg. 30 here! Given the description of the placebo as containing: “tartaric acid 2.5%, carboxymethylcellulose 1.8%, saccharine 2.5% and glycerine 10%”, the placebo users would have known they weren’t getting the real syrup. Presumably, they weren’t stupid enough to know that a clear, artificially-sweetened syrup wasn’t the same thing as a commercially-available product sold in South America. Notably, the criteria for recruitment does not mention lack of cultural awareness of yacon syrup. How motivated would you be to strictly adhere to a diet for 4 months if you knew you were on the placebo? This at least, would at least partially explain why those on the placebo group experienced no weight loss at all. At the very least, these positive results certainly warrant additional studies. However, what you want to know is whether you should buy it or not. The syrup used in the study was especially formulated to 41.39% FOS. None of the commercially available Yacon syrups I was able to find on iHerb.com list FOS content anywhere that I could see. Are you getting a product of comparable potency? Who knows? According to several resources (see here and here! ), there is a significant difference between the FOS content in different Yacon varieties. Additionally, FOS content can decrease quickly during storage, caused by enzymatic conversion of FOS to sugars, which means roots need to be processed as soon as possible after harvest, which might require rural-based processing facilities. So even authentic commercial Yacon syrup may not be a perfect replica of the standardized-for-FOS syrup used in the study. The syrup is expensive, and although it seems to be well liked by consumers, weight loss does not seem to be one of the things they mention in their reviews. It’s possible, of course, that this may be because people are simply not consuming enough syrup to conform to the amounts used in the study. Again, without detailed labelling, it’s impossible to know. Until an authentic Yacon syrup is commercially available, properly formulated for 41% FOS with dosage clearly indicated on the bottle, there doesn’t seem to be any reason to experiment with Yacon syrup. That’s not because it does not show promise. It’s because there’s no way to determine whether or not you’re getting a product that will allow you to adhere to the study’s dosages and potency. And without that, you’re operating in the dark. At least with FOS tablets (which you can purchase at iHerb.com) you can get the right dose: a 150 lbs (68.18 g) person would need 9.54 grams daily (.14gram per kg) to approximate the dose. Of course, Yacon syrup contains more than just FOS, which may contribute to its effects. And obviously, you’d need to go a similar “hypocaloric diet” and implement a couple of 45 minute sessions of walking into your week as well. All I can tell you is that I wouldn’t spend my money on it. At least, not yet.